My heart saddens a little as we wrap up our nightly routine of watching an episode of the Andy Griffith Show with our two, grade school children for the past year-and-a-half or so. Young and bendable as saplings, we were ecstatic to expose them to the strengthening virtues exhibited in this heart-warming and teachable show. It was well worth weathering their preemptive groans over why this bit of entertainment was in black-and-white. The cast had a wonderful way of weaving stories that included short lessons on: bravery, responsibility, honesty, perseverance, generosity, and humility. These are the qualities even our adult, modern hearts need reminding of through the fortification of truly stellar storytelling. Yet, these character traits are often not exhibited in modern programming for children or adults. After the kids go to bed, it is tough to find anything on Netflix that doesn’t revolve around misguided morality. There is a plethora of rectangular blocks I can click on that will try to subtly convince me that adultery, pride, killing sprees, and silently swallowing seething hatred are somehow pleasant. These are modern writers pouring sweet honey over rat poison in my opinion. Will no one write material any longer that uplifts the human spirit and plays to the cultivation of the better side of our humanity? That is why I was incredibly excited and heartfeltly touched to see the Fairfax County public school system, here in Virginia, including the Positivity Project to their repertoire for young minds. 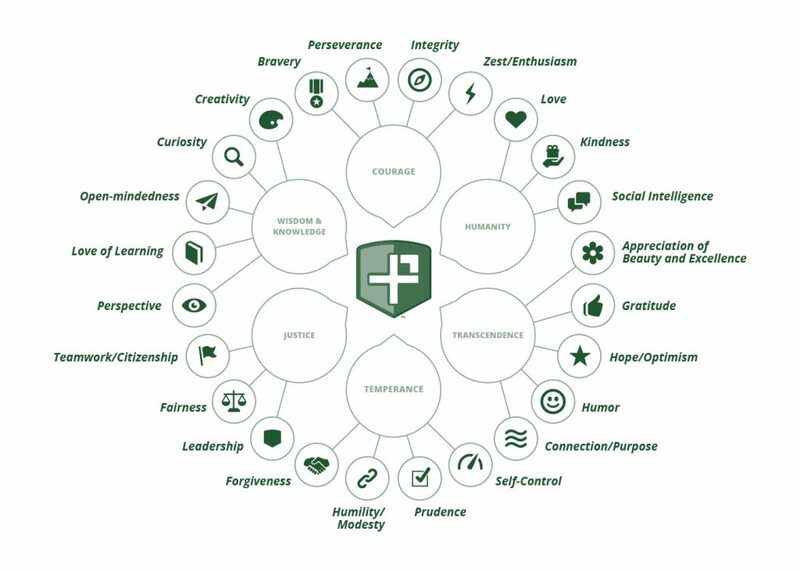 Each week, they feed students perspective enhancing and character building material provided by the Positivity Project’s outlined 24 outstanding character strengths. These cover such priceless gems as: gratitude, perseverance, self-control, integrity, kindness, bravery, and hope. How fantastic to see honorable and life-enhancing character qualities being re-knit into our children’s minds, the fabric of our communities, and, my hope, the future of our country.